As we head towards the final year of Horizon 2020, our colleagues at UKRO have helpfully compiled a list of the events which have been announced to date. These events, which are organised by the European Commission, its Executive Agencies and the networks of Horizon 2020 National Contact Points will provide details of upcoming calls. In the event of a ‘no-deal’ Brexit, the UK will continue to be eligible to participate in all parts of Horizon 2020 open to Third Country participation. In the case of the events highlighted above, the UK will still be eligible to participate in consortia and the UK Government has agreed to provide financial support to projects that are successful. Categories: Events, Horizon 2020 | Tags: Energy, Food security, Health, Horizon 2020, ICT | Permalink. With the new Work Programmes for Horizon 2020 just round the corner, our colleagues at UKRO have very kindly compiled a list of upcoming events which may be of interest for those of you thinking of applying. The following are official information days, which are free and a good way not only to hear more about the programme, but also to network with potential partners. 3-4 October 2017 – Industrial Innovation Information Days 2017 – Registration is open. We also understand that there is likely to be an information day for the Health Societal Challenge early in December (date to be confirmed). In addition to these events, Innovate UK and the Enterprise Europe Network are also hosting a number of national events. Planned and confirmed events can be found on the Innovate Knowledge Transfer Network’s website. Categories: Events, Horizon 2020 | Tags: Climate Change, Energy, Europe, Food security, Health, Horizon 2020, ICT, Research, Smart Cities | Permalink. The call will have two stages, with pre-proposals requested by 15 March 2017 and full proposals (by invitation) by 20 September 2017. The UK element of this call (totalling €1.7m) will be supported by Innovate UK, AHRC and ESRC and fund fundamental research, applied research and innovation and implementation activities. You can find more information about the call here (including presentations and application forms) and the full call text here. There will also be a “matchmaking event” in Leipzig on 12 January 2017. 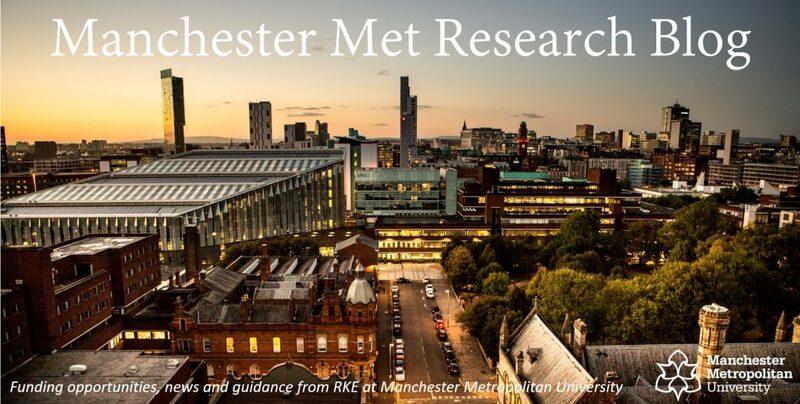 As ever, if you’re interested in applying do get in touch (euro_res@mmu.ac.uk). Categories: Funding Opportunities | Tags: AHRC, Energy, ESRC, Food, Innovate UK, JPI Urban Europe, Planning, Sustainability, urban | Permalink. Our good friends at the University of Manchester will be hosting a number of representatives from the UK’s National Contact Points on 13 December 2016 to talk about Horizon 2020 future calls. If you are interested in attending, then please register by completing the short survey here. This is a great opportunity to hear how different areas of the programme will shape up post 2017 and also to make links with colleagues at the NCPs and University of Manchester. Categories: Funder Intelligence and Policy, Horizon 2020 | Tags: Advanced Manufacturing and Processing, Bioeconomy, Energy, Europe, Europe in a Changing World, European Union, Food security, Health, Inland Water, Marine, Maritime, National Contact Points, Research, Research Infrastructures | Permalink. Innovate UK invite registrations for their technical feasibility early-stage awards, under the energy catalyst programme. These support projects that explore and test the technical potential of an early-stage innovative idea or concept through technical feasibility studies in the energy sector, with the aim to establish if a pre-industrial concept is ready for further technology development. •enabling technologies for the energy system. Registration closes on 7 September 2016. The competition closes on 14 September 2016. Please visit gov.uk for more information. Categories: Funding Opportunities, Researchers | Tags: Energy, Innovate UK | Permalink.